Inheritance Purposes – In the past, adult adoptions served as a means of ensuring the passage of property rights or financial assets to the adopted individual more easily. It was also used as a mechanism for protecting the family surname – later in life, a childless couple or a couple who bore only daughters could adopt an adult male to carry on the family name. Formalized Existing Relationship – Through adult adoption, parents can now adopt an adult foster child or stepchild without the consent of the child’s parents or custodian. In such a case, adult adoption is finalizing or formalizing an already existing relationship. So to, adult adoption may be used to reestablish a formerly existed relationship – such as for children who find their birth family after reaching maturity or fathers who find children they were previously unaware of. 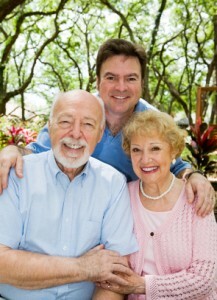 Providing Long-term Care – Utilizing the adult adoption process, an adult adoptor may become the responsible party and primary decision-maker for another adult’s care. As such, the adopting adult can provide long-term care for someone who has diminished capacity, mental illness or disabilities. Similar to a child adoption, with an adult adoption all existing legal relationships with the biological or custodial parents are severed. Also, as part of the process, the adoptee will have an opportunity to change his or her name. The new name (or the same name if the adoptee chooses not to change the name) will appear on the new birth certificate which will be issued subsequent to the completion of the adult adoption proceedings. Just like a child adoption, the adoption records will be confidential and the file will be sealed.Adoption laws are enacted by each state and, therefore, the laws for states other than Florida may be vastly different. Other states may have restrictions or requirements making adult adoption much more difficult. * Adoption laws are enacted by each state and, therefore, the laws for states other than Florida may be vastly different. Other states may have restrictions or requirements making adult adoption much more difficult. Previous post: Birth Mothers! Do you wonder what your grown child will think?